We are one of the leading manufacturer and suppliers of FRP Tank for Chemical Industrywith the using of a high quality of a material. We have obligated to meet the industrial requirements and standards. 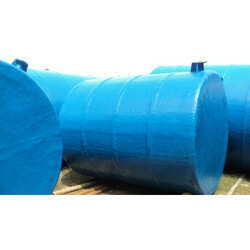 We are one of the manufacturer and supplier of FRP Tank for Chemical Industry. These offered range are highly appreciated by our client's in the market. In addition of this we are offering our products in affordable price. Looking for FRP Tank for Chemical Industry ?